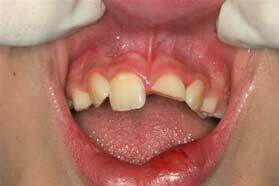 Chipped teeth are a frequent occurrence, especially among children. 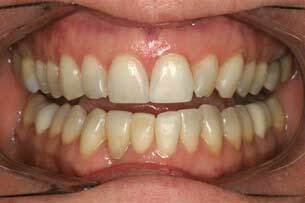 They are a cause of serious concern due to their unsightly appearance, as they mainly involve the upper central incisors, the most visible and esthetically important teeth in a person. They play a major role in the self-esteem of a person and even a small chip may alter one’s image. 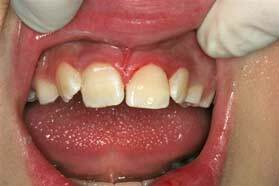 a deep fracture involving enamel, dentine, with exposure of the nerve. It’s important to treat fractured teeth as soon as possible, especially those involving the nerve, as any delay will increase the risk for a root canal. Proper bonding techniques can restore a chipped or fractured tooth almost as good as new. If the nerve is exposed, it is treated by laser, decontaminated, capped with a biocompatible cement, and bonded over. 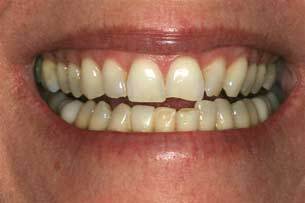 If there is a substantial defect which is hard to restore by direct bonding, a veneer or partial full-ceramic crown may be a better option. This entry was posted in Laser, Repair and tagged Central Incisors, Ceramic Crown, Chipped Teeth, Dentine, Enamel, Fracture, Nerve, Root Canal, Self Esteem, Substantial Defect, Tooth Trauma, Unsightly Appearance, Veneer by Admin. Bookmark the permalink.